BIG & BRIGHT! OUTSTANDING UPDATES! This sunshiny home has so much to offer! 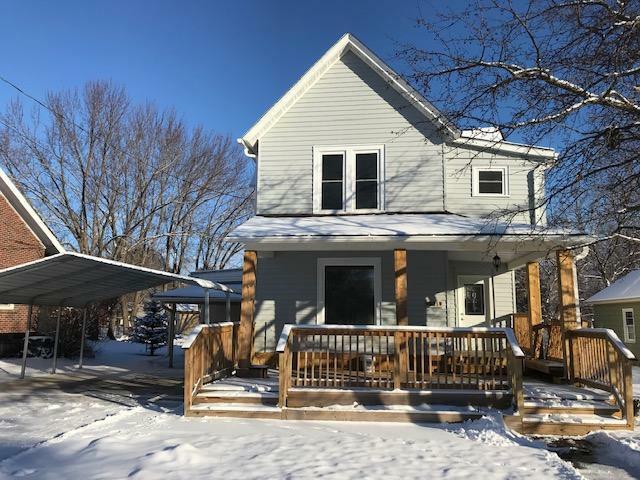 4-5 bedrooms; beautiful new kitchen; main floor laundry; huge main floor master with electric fireplace & new bathroom; refinished wood floors & fresh paint throughout! New covered front porch; 2 vehicle carport; huge deck & fenced yard with storage shed! Comes with 1-Yr Home Warranty at a fantastic price in a super sweet neighborhood! Misc. Interior: Cable TV Available, Electric Fireplace, High Speed Internet Available, Split Bedrooms, Wood or Sim.